According to CBS Sports, New England Patriots Head Coach Bill Belichick has one major advantage over his peers in the NFL coaching community: a brilliant mind. According to the story, this is especially true when it comes to selecting and managing personnel and will be particularly advantageous as the annual NFL draft (April 25-26) approaches. In a oped piece for The New Haven Register, Sophie Pollitt-Cohen ’09, suggests that Connecticut Senator Chris Dodd can start to re-burnish his bruised public image by, among other things, coming up with a more folksy nickname. 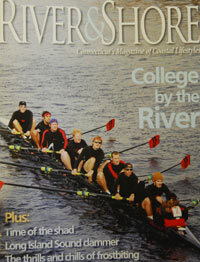 Wesleyan is featured in River & Shore. Wesleyan University is the cover feature in the Spring 2009 edition of River & Shore Magazine. In an article titled “College by the River: Memories Cut in Brownstone,” the author, Erik Hesselberg, writes about the history of Wesleyan, College Row’s brownstone buildings, the crew team, Wesleyan’s first president Wilbur Fisk, the former Judd Hall of Natural Science Exley Science Center, the Geology Department and more. Jelle de Boer, the Harold T. Stearns Professor of Earth Science, emeritus, also is mentioned in an article titled “Reading the Rocks.” The article focuses on De Boer’s interests in plate tectonics and mentions his theory on why the Connecticut River abruptly changes direction below Middletown. River & Shore Magazine is “Connecticut’s Magazine of costal lifestyles.” It is not as of yet available online. Jelle Zelinga de Boer, the Harold T. Stearns Professor of Earth Science, emeritus, was cited in April 3 edition of The Hartford Courant. In an article titled ” Remnants Of Old Mine In Middletown Date to Revolutionary Times,” de Boer explains why an abandoned silver mine in Middletown, Conn. played a supporting role in the history of the country’s industrial past. According to de Boer, the Middletown mine was originally opened to mine lead and was one of only two sites in New England that produced the metal for the Continental Army during the early stages of the Revolutionary War. The operation began in earnest in 1775 when smelting works were built along the river to provide lead for ammunition, including cannonballs. According to the article, records show that the mine produced 15,563 pounds of lead and even helped defeat British Gen. John Burgoyne and 6,000 British troops during the Saratoga Campaign in 1777. The mine was opened periodically over the years after the Revolution, including a stint as a silver mine in the mid-1800s when huge stampers crushed tons of rock laden with silver. De Boer has a upcoming book titled Stories in Stone: How Geology Influenced Connecticut History and Culture. Alberto Ibarguen ’66, CEO of the John S. and James L. Knight Foundation and former publisher of The Miami Herald, was a guest recently on the PBS News Hour in a segmented devoted to the future of newspapers. The segment aired to coincide with the move of the Seattle Post-Intelligencer from print to the web. Ibarguen told the News Hour’s Jeffrey Brown that the market will find a way to “provide people with the news that we need to function in a democracy”—though perhaps not through newspapers. A model for the post-newspaper world is not yet apparent, he noted, but it will be digital, mobile, and interactive. Mateus, a music archivist, ethnomusicologist, scholar, musician, composer and audio installation artist, is a Grammy-winning producer for Best Historical Recording. 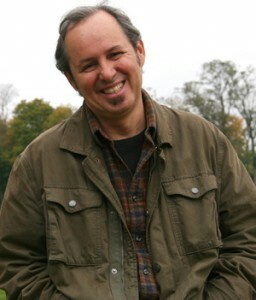 In 2008, Mateus won an award for writing from the ASCAP Deems Taylor Award, CD Liner Notes, and he has published many essays, articles and reviews in academic and popular journals, edited volumes, and other publications such as New York Archives Magazine, Ethnomusicology, Journal of Popular Music Studies; and Centro, The Journal of Puerto Rican Studies. In the article, Mateus says Wesleyan has one of the best ethnomusicology programs in the nation. Elizabeth McAlister, associate professor of religion, associate professor of African American studies, is part of a roundtable discussion on Haitian Music in The New Yorker magazine. McAlistar, an expert on the Vodou religion has written a book titled Rara! Vodou, Power, and Performance in Haiti and Its Diaspora about this musical celebration that is a vital part of Haitian culture. In a piece for The Moscow Times, Peter Rutland, Colin and Nancy Campbell Professor in Global Issues and Democratic Thought, professor of government, points out that the initial treatment of Russia by the Obama Administration has begun with clumsy missteps and a perspective toward U.S.-Russian relations that offers nothing new compared to what Russia has seen from previous U.S. administrations. 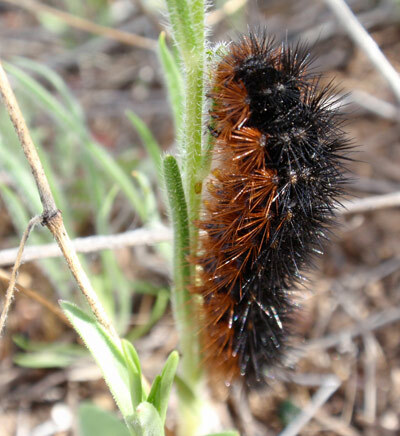 Michael Singer, assistant professor of biology, recently published a study of caterpillars in PLoS 1 that details the possible self-medication by Wooly Bear caterpillars that have been infected with parasites. The study, cited in Discover gives evidence to the theory that some animals are able to self-medicating without being taught to do so. Richard Grossman, chair and professor of economics, commented on the economy and the moves of the Obama Administration to counter the country’s sliding economic prospects since the inauguration. Gary Yohe, Sysco-Woodhouse Professor of Economics, is co-author of a new report issued by the United Nation’s Internation Panel on Climate Change (IPCC) that discusses the rapidly increasing risks of global warming. A story in Scientific American summarizes the article and quotes Yohe, an economist who studies climate change with regards to its inherent risks.